ENTHUSIASTIC Ripon primary school pupils are embracing a community-wide pen recycling scheme in a bid to help reduce waste and protect wildlife. 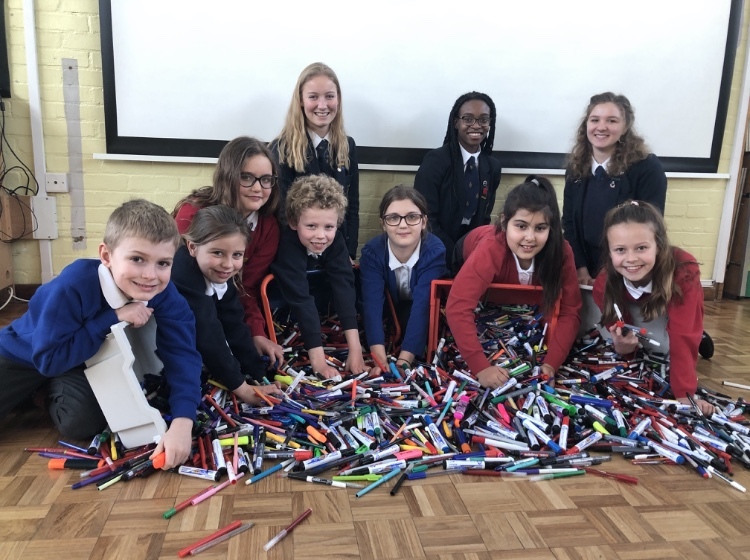 Having gathered a remarkable 20kg of old pens in just three months – equivalent to the weight of an average six-year-old or 20 bags of sugar - the students are now hoping they can inspire more schools to join them. Youngsters from three primary schools in the city signed up to the Ripon Grammar School students’ campaign in the autumn, to help turn old markers and highlighters into useful products such as folders, pencil cases, shopping bags and notepads, rather than sending them to landfill. “If we recycle the pens, the materials can be reused to make new things,” added six-year-old classmate Joseph Mukono. RGS science technician Dr Karen Piggott, who is helping co-ordinate the scheme, which has also been taken up by Holy Trinity CE Junior School, praised the pupils’ enthusiasm: “I hadn’t expected we’d get so many pens, it really is fantastic. *As a Community Champion of the scheme, run by BIC pens and the recycling company Terracycle, RGS is the central collection point for the area and will earn one penny for every item handed in. Money raised will be used for further eco-friendly projects at the school, which has already won an Eco Schools Silver Award for its commitment to improving the environment. *Pens can also be donated to Stuff 4 Offices stationery store in Ripon. If you would like to join the Ripon Grammar School collection scheme, please contact 01765 602647.